Often within ABM one wants to model the individual and how these individuals interact to form emergent patterns such as individuals and the resulting crowd or popupulations. The problem is the lack of data at the individual level. One potential solution to this is combing microsimulation and agent-based modelling techniques. 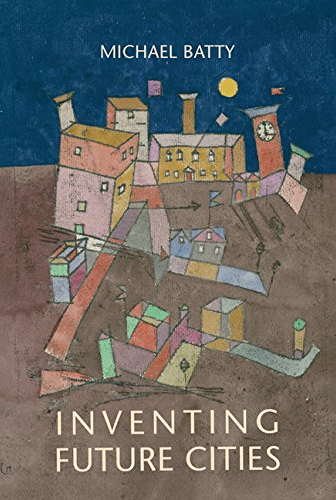 The foundations of microsimulation as a technique for socio-economic modelling was pioneered by Orcutt (1957) who identified and represented individual actors in the economic system through the way in which their behaviour changed over time. However, early adoption of this technique for socio-economic modelling was hindered by the limited computer resources and lack of data about temporal behaviour. Today, microsimulation provides one of the most disaggregated techniques for urban modelling. The main features of microsimulation can be found in a paper by Clarke and Holm (1987) which additionally reviews its early applications in economics, healthcare planning and demographics. The basic concept is simply to represent the elementary units (of a city or region) be it a person, a house or a car as a set of individuals objects with unique characteristics rather than using aggregate counts such as output areas from the census. This is often achieved by generating a synthetic population to represent imaginary rather than real people using aggregate data. In such a way those particular characteristics are associated with a particular individual, so that the distributions of the simulated population match the real or modelled distributions (as a way of building artificial populations which closely resemble actual societies). Once the individuals have been created in this way, the model is used for some purpose such as policy analysis. Microsimulation models can be both dynamic and static in nature and have been applied to disciplines associated with urban and regional analysis especially for the analysis of policy impact. Early efforts in particular focused on the sociology, economics, social administration (e.g. healthcare provision), housing and residential location (see Holm et al., 2000 and Wilson, 2000 for further details and reviews; additionally the International Microsimulation Association provides links to models under active development). The models are often used to simulate changes in distribution, for example, demographic and land-use changes (as in UrbanSim) or the distribution of traffic flow over a street network (e.g. as in the TRANSIMS model, see Waddell, 2001) and are the basis for many popular planning support systems. While early microsimulation modelling efforts where not overtly spatial as they were often developed outside the field of geography, with the advent of more comprehensive datasets, more powerful computing technology and the development of GIS, microsimulation models now have the ability to represent spatial processes explicitly. For example at the University of Leeds, an explicit and detailed spatial dimension has been added to microsimulation models, including the coupling with spatial interaction models (e.g. Birkin and Clarke, 1987, cited in Birkin, 2005; Clarke and Holm, 1987) and its integration with GIS. Microsimulation models at Leeds have been applied to domains such as education, health, labour markets and retailing (see Birkin, 2005 for further details). In particular, the MoSeS (Modelling and Simulation for e-Social Science) project from the University of Leeds aims to develop a demographic simulation at the level of individuals and households to give robust forecasts of the future population of the UK (Birkin et al., 2006) For more information on MoSeS click here). Microsimulation provides a mechanism to evaluate the effects of policy changes at the level of the decision making units such as individuals, firms and households rather than focusing on the aggregate information of groups of individuals to predict policy impacts, while at the same time estimates of aggregate outcomes can still be derived by summing up individual predictions. Whilst this process of creating individuals based on aggregate data addresses the ecological fallacy of assigning average group attributes to individual entities, and assuming an ecological correlation between them, it does not address the Modifiable Areal Unit Problem (MAUP) of decomposing aggregate spatial data arbitrarily into smaller geographical units (Benenson and Torrens, 2004). Another important question concerns the relationship between microsimulation and agent-based modelling for urban modelling. While both approaches focus on the individual, the two approaches are different. For example, Birkin (2005) writes that it may be fair to characterise agent-based approaches as mostly concerned with behaviour at the individual level, while microsimulation as concerned with questions of composition and structure of the urban area. In traditional ABM, the emphasis is on interaction between individuals based on behavioural rules, which evolve stochastically over time and space in response to the interactions with other individuals, while traditional microsimulation transition probabilities lack evolutionary and spatial dimensions. 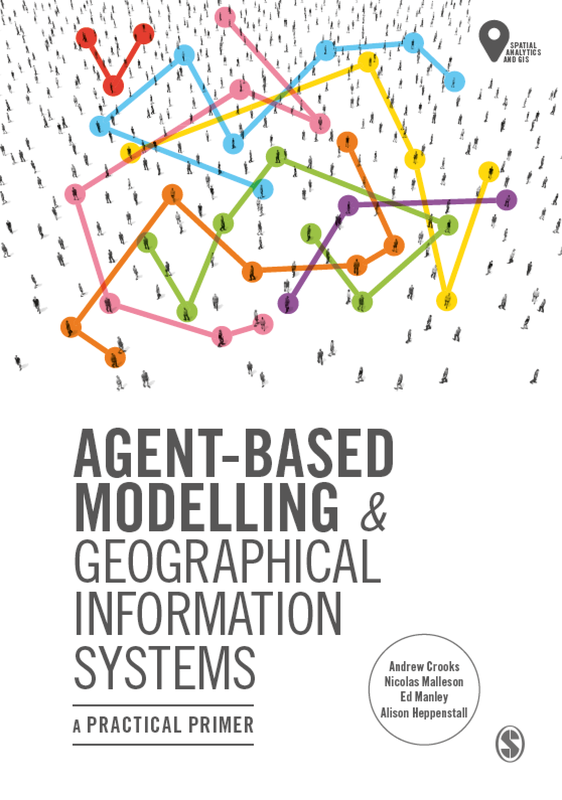 On the other hand, the two approaches are moving towards a more common ground as microsimulation models add more behavioural and spatial interaction between individual units and ABM add both space and demographic characteristics to their agents (The International Microsimulation Association, 2006). For example, TRANSIMS is an agent-based model using disaggregate microsimulation techniques to simulate traffic for large metropolitan areas, and the ILUTE (Integrated Land-use, Transportation Environment) model is an agent-based model which examines land-use and transportation within a metropolitan area (Miller et al., 2004). Benenson, I. and Torrens, P.M. (2004), Geosimulation: Automata-Based Modelling of Urban Phenomena, John Wiley ANDSons, London, UK. Birkin, M. (2005), 'Retail and Service Location Planning', in Maguire, D.J., Batty, M. and Goodchild M, F. (eds. ), GIS, Spatial Analysis and Modelling, ESRI Press, Redlands, CA, pp. 221-244. Birkin, M. and Clarke, M. (1987), 'Comprehensive Models and Efficient Accounting Frameworks for Urban and Regional Systems', in Griffith, D. and Haining, R. (eds. ), Transformations Through Space and Time, Martinus Nijhoff, The Hague, Netherlands, pp. 169-195. Birkin, M., Turner, A. and Wu, B. (2006), 'A Synthetic Demographic Model of the UK Population: Methods, Progress and Problems', Regional Science Association International British and Irish Section, 36th Annual Conference, Jersey, Channel Islands. Clarke, M. and Holm, E. (1987), 'Microsimulation Methods in Spatial Analysis and Planning', Geografiska Annaler. Series B, Human Geography, 69(2): 145-164. Holm, E., Lindgren, U. and Malmberg, G. (2000), 'Dynamic Microsimulation', in Fotheringham, A.S. and Wegener, M. (eds. 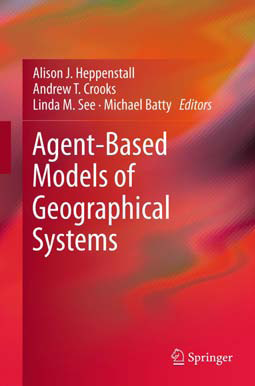 ), Spatial Models and GIS: New Potential and New Models, Taylor and Francis, London, UK, pp. 143-165. Miller, E.J., Hunt, J.D., Abraham, J.E. and Salvini, P.A. (2004), 'Microsimulating Urban Systems', Computer, Environment and Urban Systems, 28(1-2): 9-44. Orcutt, G.H. (1957), 'A New Type of Socio-Economic System', Review of Economics and Statistics, 39(2): 116-123. The International Microsimulation Association (2006), What is Microsimulation?, Available at http:www.microsimulation.org [Accessed on 18th Oct, 2007]. Wilson, A.G. (2000), Complex Spatial Systems: The Modelling Foundations of Urban and Regional Analysis, Pearson Education, Harlow, UK. Waddell, P. (2001), 'Between Politics and Planning: UrbanSim as a Decision-Support System for Metropolitan Planning', in Brail, R.K. and Klosterman, R.E. (eds. ), Planning Support Systems: Integrating Geographic Information Systems, Models and Visualisation Tools, ESRI Press, Redlands, CA, pp. 201-228. I'm mehdi. I am intrested in ABM and have studied some refrences such as batty's last book. Now I am know the aproach of ABM and I want to plan my research about modeling pedestrian's behavior using ABM. But the problem is the I haven't got enough abilities in programing to design my own special model. Let me know is it rational to start working on it or the programing is the first required qualification? I see your concern, A friend of mine had no programming experience before creating his own model and after a few months had a really good model. I guess it really depends on what you want to do, how simple a model, your time frame etc. I recommend you look at http://gisagents.blogspot.com/2007/03/guidelines-for-assessing-pedestrian.html and other works by Christian.